When Jurgen Klopp was appointed Liverpool manager in October 2015 the world took notice, and Reds fans were united in optimism for the first time in years. 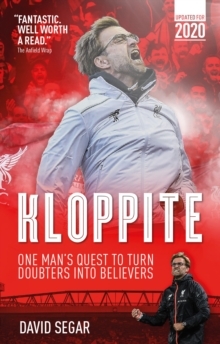 Kloppite looks at how the charismatic German set about re-igniting the LFC flame - not only trying to change the fortunes of the once-dominant club, but also making the people believe again. Klopp's first two seasons in the English Premier League were eventful, including famous wins, heartbreaking defeats, scoring records, cup finals and broken glasses. After his successes at Mainz and Borussia Dortmund, Klopp took on his greatest challenge as he sought to return the Merseysiders to the top of English football. The hot-seat at Anfield has often been described as one of the toughest jobs in world football, and Klopp was tasked with overcoming the adversity of fan expectations, competing against some of the game's best managers and biggest spenders, and turning doubters into believers.